My daughter had been talking about our upcoming visit to SeaWorld to see the dolphins and the polar bear for her 7th birthday every day for the last 8 months. 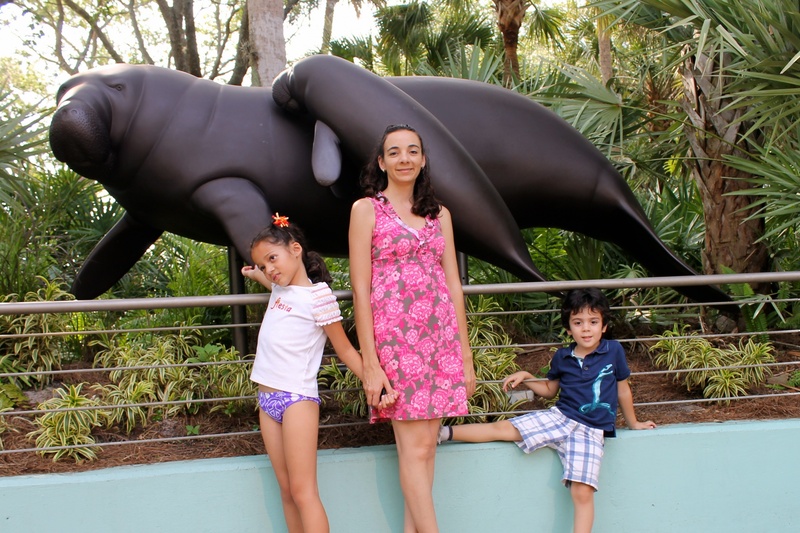 This would be the kid’s first time at SeaWorld and I had not been there in more than 10 years. So needless to say we where really looking forward to our trip to Sea World. I love animals and have to admit that I was as excited as the kids. As for my daughter who had spent countless hours on the SeaWorld website looking at the shows and attractions, she was came well prepared with her list of must dos: Turtle Trek, the Wild Arctic exhibition to see the polar bears, One Ocean to see Shamu, Pet’s Ahoy and feeding all the animals. Even though we had spent a lot of time on the website and where familiar with most of the exhibits I was really surprised by the amount of opportunities to interact with the animals. 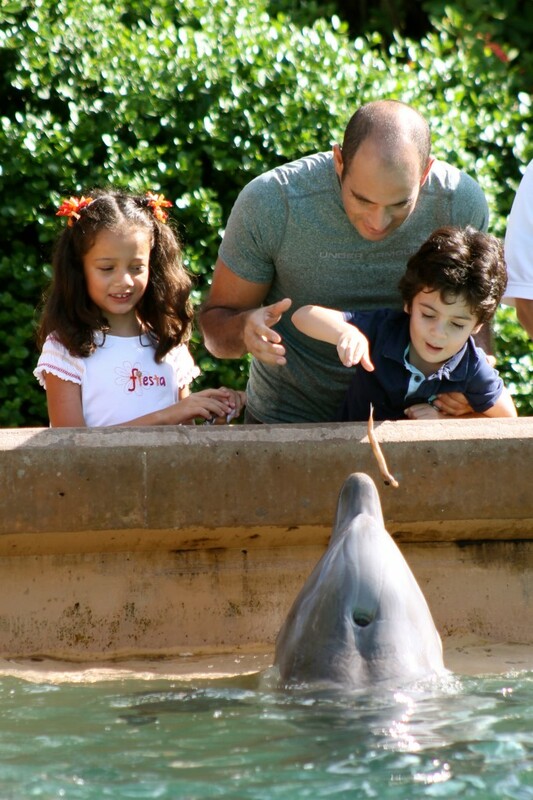 Feeding the dolphins was pretty amazing, my children even got to touch them and as I watched their excitement I wished I could hold on to these moments forever. The shows where truly beautiful, the whales majestic, the seals a lot of fun but my favorite part was watching my kid’s awe and amazement as they where transported into so many different environments and ecosystems from looking at a walrus swimming under water to being surrounded by fish and having stingrays fly over their heads at the Manta Aquarium. As had dinner surrounded by sharks at Shark’s Underwater Grill after a long and exciting day I was so happy we had the chance to take the kids to SeaWorld and knew they would never forget this trip. 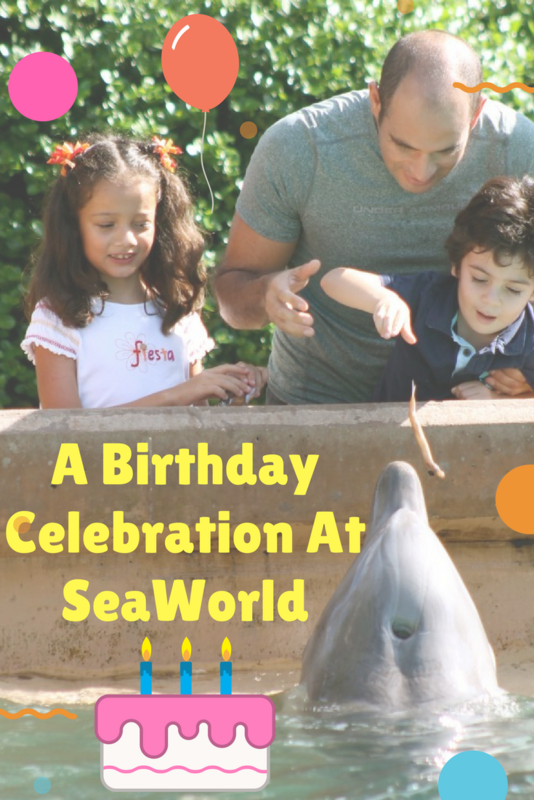 SeaWorld doesn’t really “do birthday parties” or celebrations. Other parks have birthday cakes, special celebrations and even birthday buttons for people celebrating a birthday, but SeaWorld doesn’t so it’s up to you. This, I believe, can be a good thing because it gives you the opportunity to make something special for your child. It only takes some preparation and planning ahead. • Have the birthday girl (or boy) make a list of the things she really wants to see, if you will only be at the park one day keep it down to the top 2 or 3 so there is time to see what other people in the family want to see and so you don’t have to rush. • Make your child feel special and have him or her wear a birthday button, birthday T-shirt or birthday hat. So many people in the park will congratulate him and everywhere you go people will stop and wish him a happy birthday. • Plan a special meal. I would highly recommend Shark’s Underwater Grill. This is the only restaurant that requires a reservation, reservations have to be made in the park (you can not call ahead) after 10am at the restaurant. Plan the meal before a show to avoid crowds as restaurants fill up after the shows. Take into account that this is not a cheap restaurant with entrees priced around $25 and up. I had a salad and there is a kid’s menu and we spend just under $100 for four. The experience of dining surrounded by sharks in my opinion was worth it for a birthday celebration. The kids really had an amazing time there, they where given a card with different kids of sharks so they could look for them passing by while we ate. Singing Happy Birthday at the Sharks Underwater Grill restaurant. This is the face of exhausted happiness. 😉 Photo: Paula Bendfeldt-Diaz. All Rights Reserved. • Bring your own candles and party supplies. All of the restaurants have cake slices but they do not provide candles, so bring your own candles! You can make it extra special by picking a theme (sea creatures, dolphins, whales those would all go perfectly here!) and bringing with you a few party hats. Paper hats are light and don’t occupy much space but bringing them along will really make the moment festive and the pictures memorable and you can just toss them in the trash afterwards. • Feed the animals. One of the most memorable and exciting things you can do at SeaWorld is feeding the animals, specially if your child is an avid animal lover like mine. So check the feeding time schedules and don’t miss this great opportunity to get close and personal to Bottlenose dolphins, sea lions and sting rays. Feeding the dolphins. Photo: Paula Bendfeldt-Diaz. All Rights Reserved. • Consider an Exclusive Park Experience. If this is within your budget the exclusive park experiences can be truly unforgettable. Starting at $29 for adults and $9 for kids aged 3-9 Behind the Scenes tour takes you on a 90-minute tour to discover how the animal experts care for rescued manatees and sea turtles. 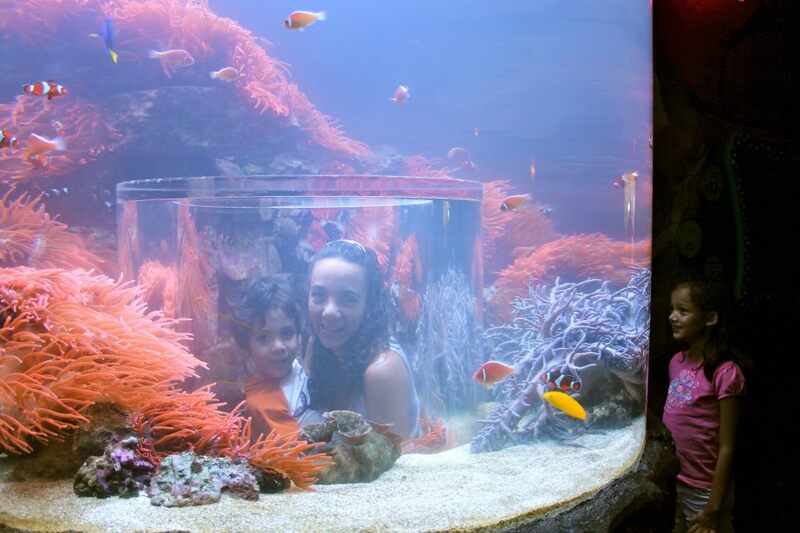 Plus touch a shark, explore a hidden polar bear den and interact with a penguin. 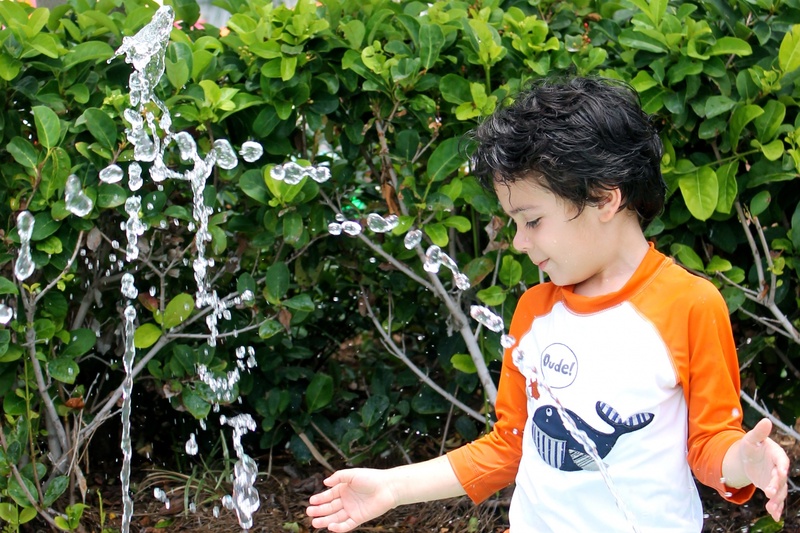 Other programs to choose from include: Beluga Interaction Program ($119 and kids must be 10 or older), Dolphins Up-Close ($59 ages 10 and up, $39 ages 3-9), SeaWorld’s Family Fun Tour ($79 ages 10 and up, $59 ages 3-9), Marine Mammal Keeper Experience ($399 and kids must be 13 and up, this includes park entrance), Sea Lions Up-Close ($39 ages 10 and up, $19 ages 3-9), Wild Arctic Up-Close ($59 and kids must be 10 and up), VIP Tour ($99 ages 10 and up, $79 ages 3-9)and Private VIP Tour. ( $299 ages 3 and up, includes meal at Sharks Underwater Grill, does not include park entrance). Make sure to check the SeaWorld website for more information and some restrictions and book online to reserve your spot as these the exclusive park experiences fill up quickly. • Bring an autograph book. You child will want to have a keepsake that reminds him of this unforgettable birthday. Bring an autograph book (it will be cheaper if you purchase it beforehand outside of the park) or buy one when you get there. • Make time to relax. Don’t cram up the day’s schedule with a million things to do. Pick everyone’s must sees and schedule some time to cool off and rest. A great place to visit is Shamu’s Happy harbor where kids can play in the water area and cool off and unwind. Cooling off at Shamu’s Happy Harbor. • Don’t forget the camera. Ok so this might be obvious but here are a few good tips regarding cameras before you leave. Make sure you wipe out the camera memory so there is enough space to take as many pictures as you want, fully charge the camera’s battery (running out of battery has happened to me more than once!). If you have a separate flash, bring it and bring enough batteries for it as well. You will be taking a log of pictures indoors in dimly lit spaces. • If there are food allergies in the family call ahead. Other restaurants have a few options for people with allergies depending on the allergy but at Shark’s Underwater Grill the chef will work to find dishes or make them special taking into consideration food allergies. My little girl is food allergies and the chef worked with us they where simply amazing. • Have a back up plan. Make sure you check the weather, during rainy season there is a big chance that if it rains some rides and shows will be closed or canceled. 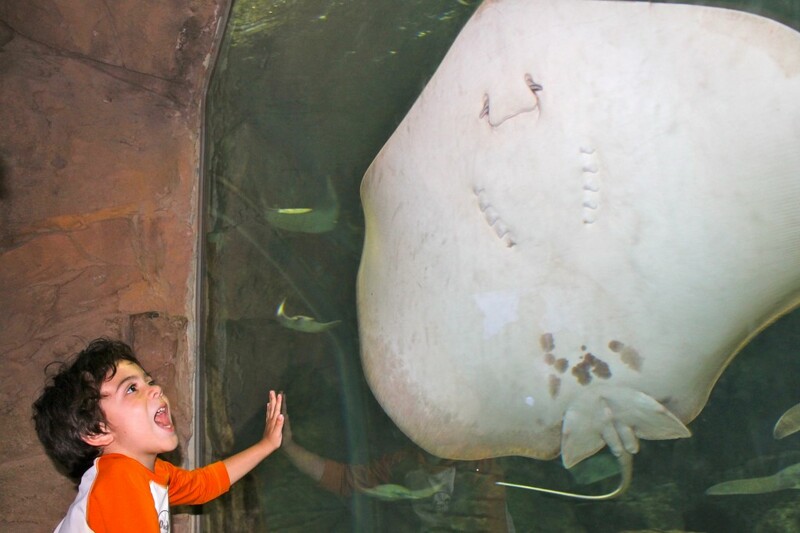 Come prepared with rain gear and with a back up plan, if it might rain in the afternoon leave indoor attractions like the Manta Aquarium. At the Manta Aquarium. Photo: Paula Bendfeldt-Diaz. All Rights Reserved. Making a trip unforgettable is all in the little things, in making everyone feel special and in enjoying the moment. My daughter loves taking family trips so instead of a party with her friends she always chooses to go somewhere fun for her birthday. Dinner at Shark’s Underwater Grill was a wonderful experience not only because it’s not every day that you get to eat surrounded by sharks but also because the chef and the staff went the extra mile to make our celebration memorable. My little girl has food allergies, like many children with autism, and we usually have to travel with her food to make sure she is eating things that are safe for her but at Shark’s Underwater Grill the chef came out to meet us and we discussed her needs and he was able to suggest different options for her, she loved being able to order what she wanted from the choices the chef gave her. What made our trip memorable where the little things: seeing my daughter’s face as she rode her first roller coaster, hearing my son’s laughter as the birds stole Shamu’s fish during the show and watching both of my children’s wonder as they got close to all sorts of animals and even fed seals, dolphins, sharks and stingrays. Disclosure: I received two one day tickets to SeaWorld. My opinion is sincere and this post was not edited by a third party. 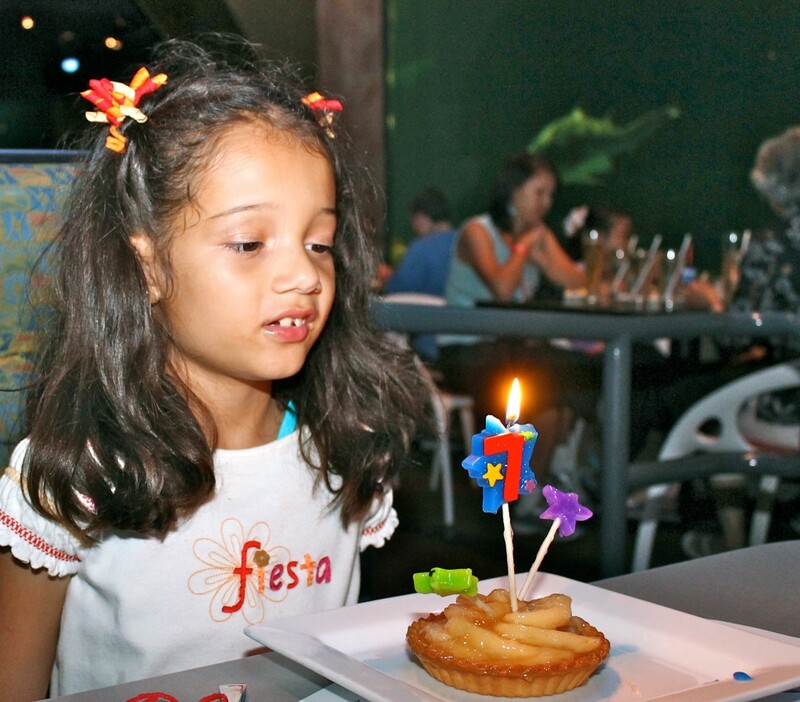 This article is based on my previous article published in 2012 on Growing Up Bilingual titled “Birthday at Sea World With Special Needs Kids: How to Make it Unforgettable”. Looks like a great birthday!! I haven’t been to Sea World in a long time. How FUN!!! I so miss going to Sea World. They closed down our Sea World in Northern, Ohio so many years ago 🙁 I think I’ll need to plan a trip to FL! This looks like lots of fun. Thanks for sharing all the tips. Hi. It certainly sounds like you made this a memorable experience for your little girl. 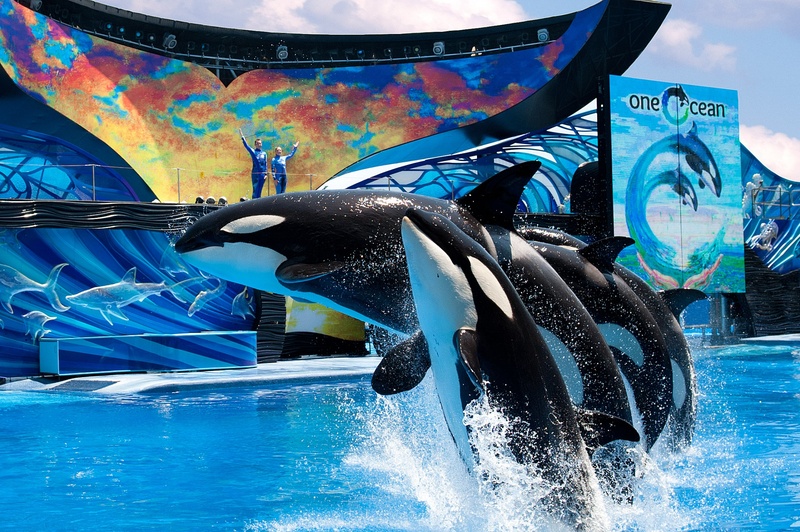 🙂 I have never been to Seaworld, as I live very, very far away, but I would love to go and get a chance to spend more than just one day so we could experience everything. The Shark’s Underwater Grill sounds really fun. I am actually getting married in an Aquarium in January, and the ceremony will be in one of those underwater shark rooms, with the reception in the coral reef area. 🙂 It lends such a cool atmosphere! That sounds like the coolest idea for a wedding ever. I love it!!! I know my little girl would love something like that, she is all about visiting Zoos and Aquariums, no matter where we go. She just loves animals. I am heading to you blog to see the wedding preparations. Congratulations and can’t wait to see the wedding pics. Thanks. 🙂 Maybe she’ll do something similar one day! But not every one wanted the same thing. One wanted rides, one wanted a water park, and one wanted something with animals. SEAWORLD hit all three and then some. They have one of the best water parks in Orlando. Then you add to that. Seaworld with all the amazing sea creatures. Including lots of rides. Add to that discovery grove. And if you don’t mind driving an hour. You have a great Zoo. So for us Seaworld hit all of our needs. Needless to say. We have yearly pass’s for both there parks. Which is a great way to save money. My family really look forward to spending the day there. Seaworld has lots to See and do. Not to mention it has the most fantastic landscapeing in all of Florida. We normally pack a picnic basket. But sometimes we eat at one of many restaurants in the park. Some have good deals with an all day all you can eat and drink. Well worth the money if you ask me. You may want to consider dining with the Sharks at the underwater grill. Where you can eat surrounded by sharks. But remember to make a reservation. You can only do this once your in the park. My kids love feeding the amazing sea creatures seaworld has on display. It cost a little extra but worth it. And for those special occasions consider taking a private tour of the park. For a fee of course. Your child will feel like a super star. I can’t begin to tell you how many memorable experiences we’ve had. There are other parks that are lots of fun. But seaworld is fun but more importantly. It’s very educational. And truth be told I really enjoy taking them. Proving fun can be educational as well.